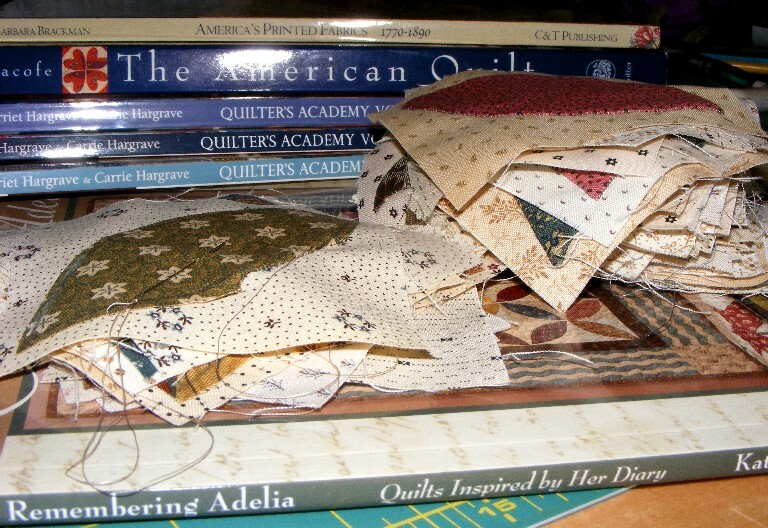 Quilting Adventures: The wonder of it all.....! I have been living here in Upstate New York for quite some time. In our back yard, we have some beautiful old trees, some are more then 100 years old. 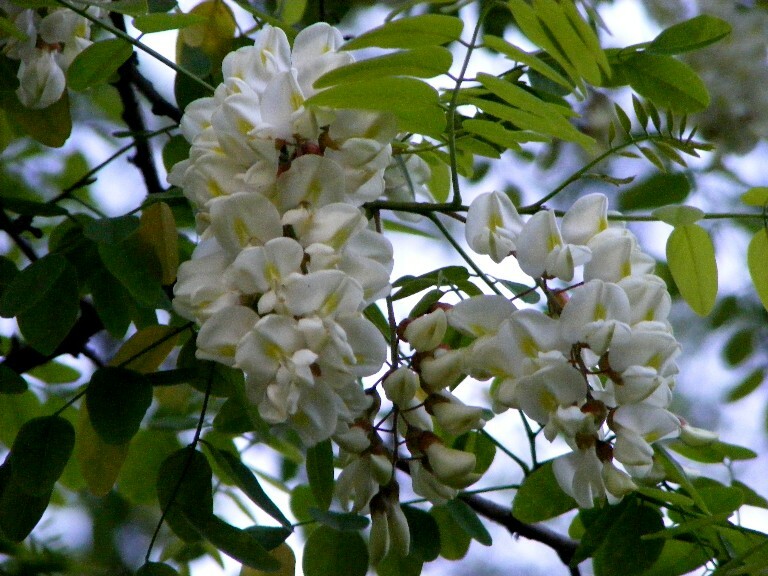 More particularly, we have this thorny tree that Stephen calls a Locust tree. I have never much appreciated this tree and often wondered why we had not taken it down. During this time of the year (late spring), we would always get this wonderful perfume smell in the air. A smell that not knowing any better I had attributed to honey suckles. Strangely, we have no honey suckles around, but I just could not figure out where the smell came from that is ..... until tonight. So I walked over to the middle of our yard and saw these beautiful blossoms on its branches, thousands of them! 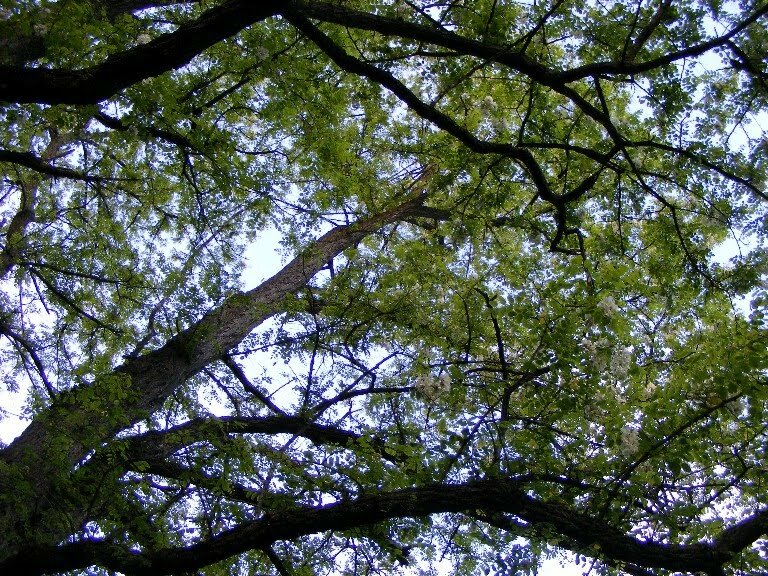 As I stood under its canopy it smelled oh so sweet! I ran to the house to get DH! It was buzzing with activity! There were these huge bumble bees buzzing about from blossoms to blossoms. As I stood underneath, all I would hear was the buzzing of bumble bees.... and there were many. I soaked it all in....! On the quilting front I have been a busy bee, buzzing from one project to another. I have finished a hand applique quilt that I hope to show you soon. My orange peel stack is slowly going down. I have 18 more peels to hand applique! I will then be ready to piece the top! Yea! I'm off to do a bit of hand applique before it gets too late! I wish you all a wonderful week! Thank you so much for stopping by my little corner in cyber space! Cheers! I think I have one of those bushes, we call them scrub trees, they just grow out of nowhere, lol. 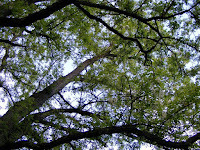 But they make great bird trees, nothing wants to climb up them, so the nests are safe. What a wonderful surprise with the tree. I have a small tree with tiny purple flowers that smells wonderful right now. I've been wanting to make the orange peel quilt, maybe yours will give me some inspiration. Love the story of the tree and its transformation into a treasured part of your garden! Have fun with the applique! That tree sounds positivly divine. Isn't that too funny that you never knew it before? Spring is a time of discovery - sounds like yours has been a wonderful one. Every season has it´s smell. I love the smell during spring time although we don´t have a gem like your tree! What a great story! 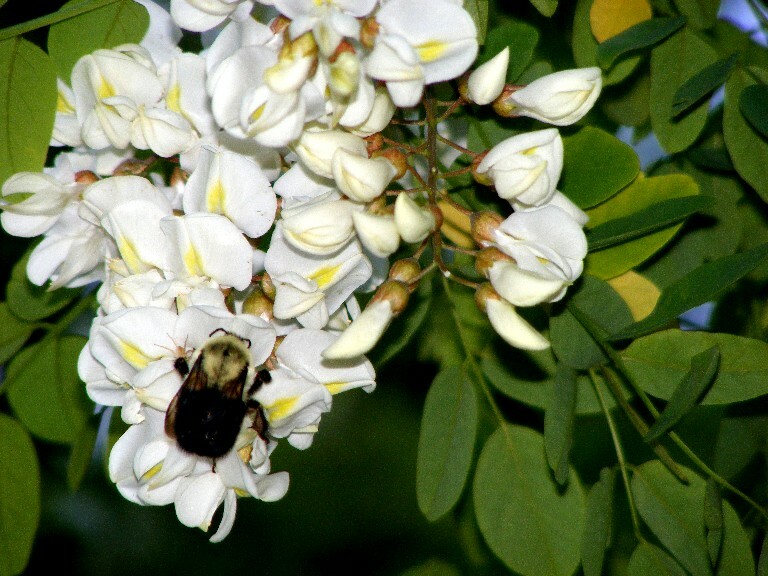 Now I wish I had a locust tree. I love all my trees. Sadly, we're losing all of our ashes -- do you have the ash borer there? it's really nasty. I can't WAIT to see your orange peel -- I SO want to make one!